Although most of us don’t realize it, there’s an invisible force impacting the course of our lives everyday: our beliefs. What we believe may or may not be true, but unknowingly most of us behave in ways that reinforce our beliefs anyways. At a January 2017 Small Giants fishbowl, Zingerman’s Co-Owner and Founding Partner Ari Weinzweig took a closer look at how our beliefs play out in our day-to-day experiences in the workplace, and how we and our workplaces are impacted by those beliefs. For leaders, understanding the link between your individual beliefs and your daily actions in the workplace can transform your business outcomes. 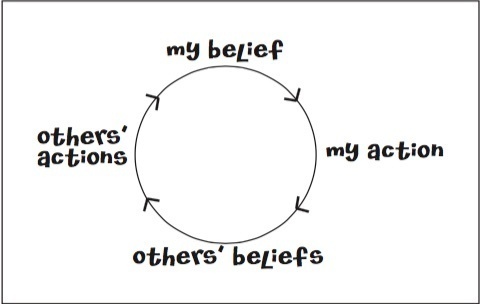 Drawing on research conducted for his book, A Lapsed Anarchist’s Approach to the Power of Beliefs in Business, Ari shares what the belief cycle is, where our beliefs come from, and how we can leverage the power of beliefs in our own businesses. If we become more mindful of our beliefs, we can effectively alter them and change the way we see our work and the world. Let’s dig in. When Ari first discovered the belief cycle, he was combatting a quality issue within the organization. It impacted most of the companies within the Zingerman’s Community of Businesses, which meant no one individual or business could solve the problem on their own. These things happen, and Ari went to his tried and true methods: he put together a work group with a diverse selection of people, tasked them with writing a vision statement for the issue at hand, and gave them the tools they’d need to solve the problem. Despite his best efforts, the group was making no headway. Ari’s frustration peaked at the same time that he was reading Transformed! The Science of Spectacular Living where he came across a self-fulfilling belief cycle that blew him away. Here’s how it works: at the top of the cycle are your beliefs, and they control the ultimate outcome. We all have beliefs, and we take actions on what we believe in small and large ways every day. Those actions begin to impact the beliefs of those around us — ultimately, those around us take their own actions, which almost always enforce your original belief. Take employee training and development. We all know CEOs and managers who don’t believe that training is an important investment. Based on that belief, what action might they take? Often, they won’t do much training beyond what is required, prompting employees and direct reports to believe that the company doesn’t value their development, and their growth and opportunities within the organization are limited. Ultimately, their actions will reinforce the CEO or manager’s original belief: employees will do the bare minimum at work, and the person at the top of the belief cycle will be glad they didn’t waste their money on employee training. Consider if that same CEO or manager simply changed their belief to the idea that training is the single most important investment a company could make — how would that change the cycle? Zingerman’s is in the food business, and Ari explains our beliefs as the root systems of our lives. What we see when we look into a field is always 100 percent correlated to the root system below the surface. Even though we don’t think about the beliefs our friends, co-workers, and business partners hold, what we believe always leads to the actions that you see above ground. If we change our beliefs, we change everything else. Homework: Set a timer for 3 minutes and write down everything you believe about your business. The faster you write, the better — when we slow down, we’re prone to overthink it and start writing what we think we should believe about our businesses. The more mindful we are of our beliefs, the easier it is to manage our lives. No one is born with beliefs. Our hair color, our eye color, our height, and our skin tone might be genetic — but our beliefs are learned. Where do we learn our beliefs? We learn them from the people we trust, particularly when we’re young. Our parents, teachers, religious leaders, friends on the playground, and role models like celebrities and athletes all have a hand in shaping our lifelong beliefs. As a result, people see the same reality, but interpret it in 180-degree, opposite ways. By the time we reach adulthood, alignment between our beliefs and our actions becomes increasingly important. And if what we do in our lives and our businesses is not well-aligned with our beliefs, trouble is going to come. What happens if our personal beliefs are not aligned with our organization’s values or vision? Your business will continue to go off-course. It doesn’t mean you can’t run the organization, but you’ll continue to pull in the direction of your beliefs. Homework: Are your company's values and vision aligned with your beliefs? Compare what you wrote about your personal beliefs with your organization’s values, vision, and purpose statements. Are they truly aligned? Where are there differences and how could you bridge the gap? You can break out beliefs into three categories: negative beliefs, neutral beliefs, and positive beliefs. As you might expect, negative beliefs create negative outcomes, neutral beliefs have little impact, and positive beliefs create positive outcomes. In business and in life, if you have negative beliefs about anything, it will create negative outcomes. Think about it this way: you can’t get a positive outcome from a negative belief. Sure, a negative belief will lead to some outcome — negative beliefs about marriage will lead to a divorce, and negative beliefs about an employee will lead to firing. But you can’t create a meaningful, healthy organization out of negative beliefs. With that realization, it’s really about how to lead with positive beliefs. How do you make positive changes in your organization? You must change your beliefs to change your actions. When you think about it, this tension between your beliefs and your actions is playing out all day long. Consider the manager who sends someone on a training, but doesn’t truly believe it’s important — the employee begins to believe the experience isn’t valuable and attends the training with low energy and attention. Upon their return, the manager's original belief is reinforced. Zingerman’s is working to embrace the power of beliefs by reversing commonly-held beliefs. 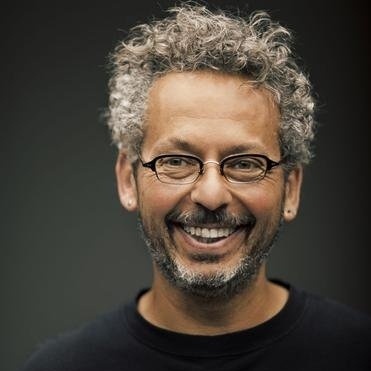 Where many believe that people are out to take advantage of one another, Zingerman’s belief is that people are generally trying to do the right thing. Where many believe that employees are simply hired to do a job, Zingerman’s believes they hire people to help them run the business. A company with great leaders can change the beliefs of their employees about the nature of the work they do everyday, and ultimately, the outcome we get from our efforts. Homework: Pick a relevant issue you’re facing in your organization and write your beliefs about it. Challenge yourself to take the 180-degree view on your belief. Could changing your belief produce more positive outcomes? In 1982, Ari Weinzweig, along with his partner Paul Saginaw, founded Zingerman’s Delicatessen with a $20,000 bank loan, a Russian History degree from the University of Michigan, 4 years of experience washing dishes, cooking and managing in restaurant kitchens and chutzpah from his hometown of Chicago. They opened the doors with 2 employees and a small selection of specialty foods and exceptional sandwiches. Today, Zingerman’s Delicatessen is a nationally renowned food icon and the Zingerman’s Community of Businesses has grown to 10 businesses with over 750 employees and over $55 million in annual revenue. Aside from the Delicatessen, these businesses include Zingerman’s Bakehouse, Coffee Company, Creamery, Roadhouse, Mail Order, ZingTrain, Candy Manufactory, Cornman Farms and a Korean restaurant that is scheduled to open in 2016. No two businesses in the Zingerman’s Community of Businesses are alike but they all share the same Vision and Guiding Principles and deliver “The Zingerman’s Experience” with passion and commitment. Besides being the Co-Founding Partner and being actively engaged in some aspect of the day-to-day operations and governance of nearly every business in the Zingerman’s Community, Ari Weinzweig is also a prolific writer. His most recent publications are the first 4 of his 6 book series Zingerman’s Guide to Good Leading Series: A Lapsed Anarchist’s Approach to Building a Great Business (Part 1), Being a Better Leader (Part 2), Managing Ourselves (Part 3) and the newly-released Part 4, The Power of Beliefs in Business. Earlier books include the Zingerman’s Guides to Giving Great Service, Better Bacon, Good Eating, Good Olive Oil, Good Vinegar and Good Parmigiano-Reggiano.